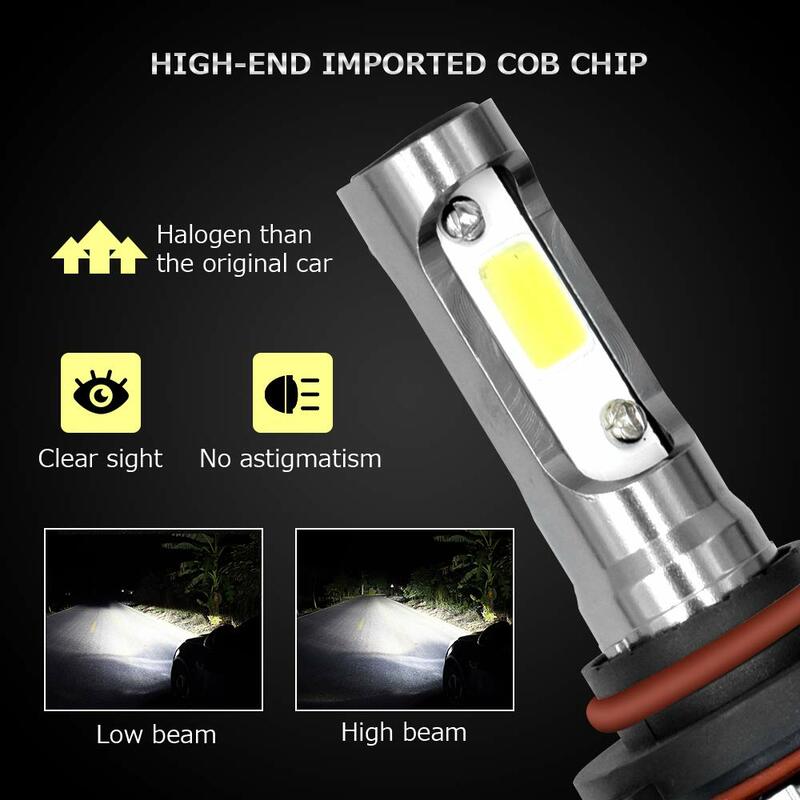 【HIGH BRIGHTNESS】Super COB LED chip beads fully upgraded, with 80W per pair, 200% brighter than Halogen HID headlights. 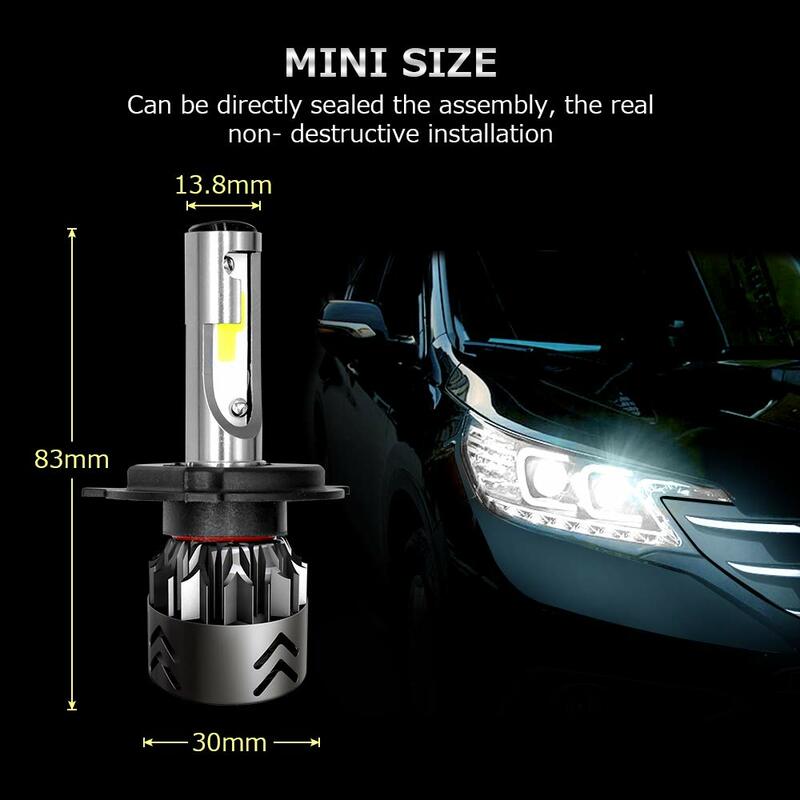 Cool white 6000K, luminous efficacy flux up to 8000LM per pair, 360 degree LED Lighting emits a high-definition vision and without any dark spots or foggy light, which provide you better driving safety. 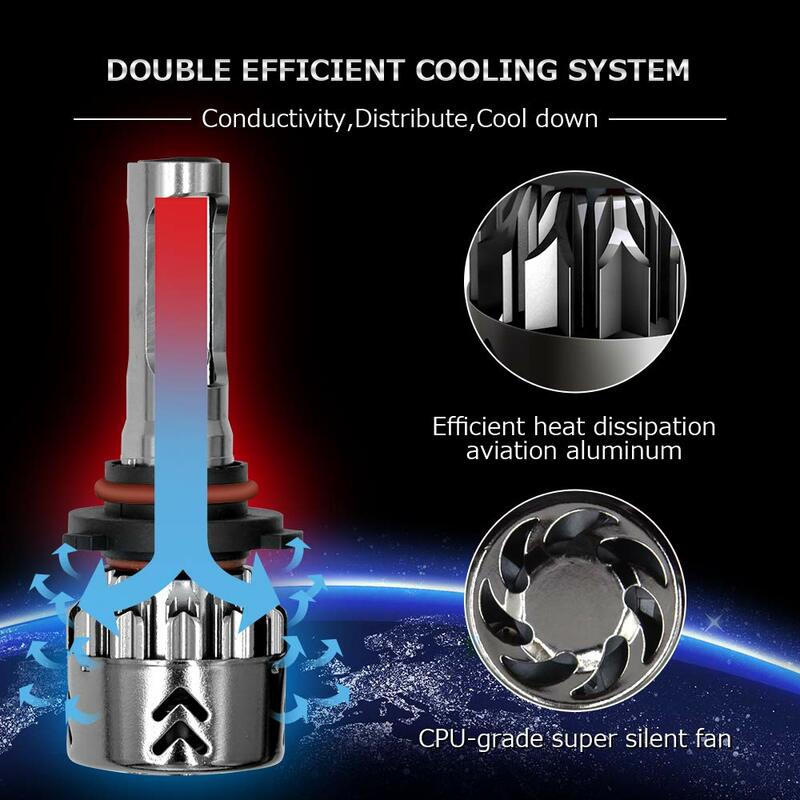 【SUPER HEAT DISSIPATING】AirCool intelligent frequency conversion silent cooling fan with speed up to 125 rev / sec is selected, which has long life, stable illumination and no noise. It adopts aviation aluminum lamp body to better assist lamp heat dissipation and prolong service life to over 50,000 hrs. 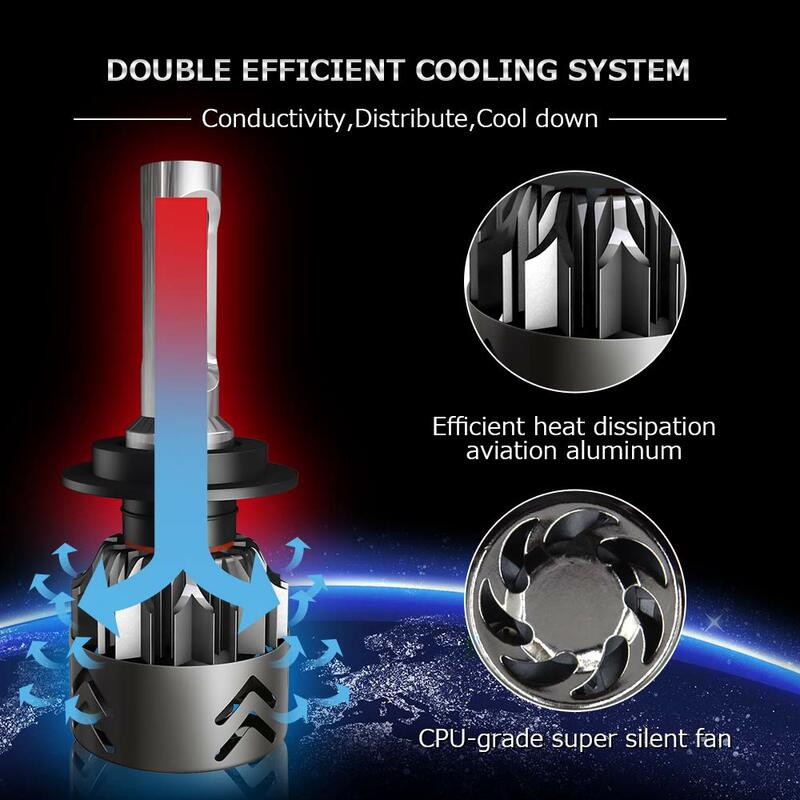 【EASY INSTALLATION】All-in-one aluminum material and design makes it easy to install. instant full beam without any warm up time. 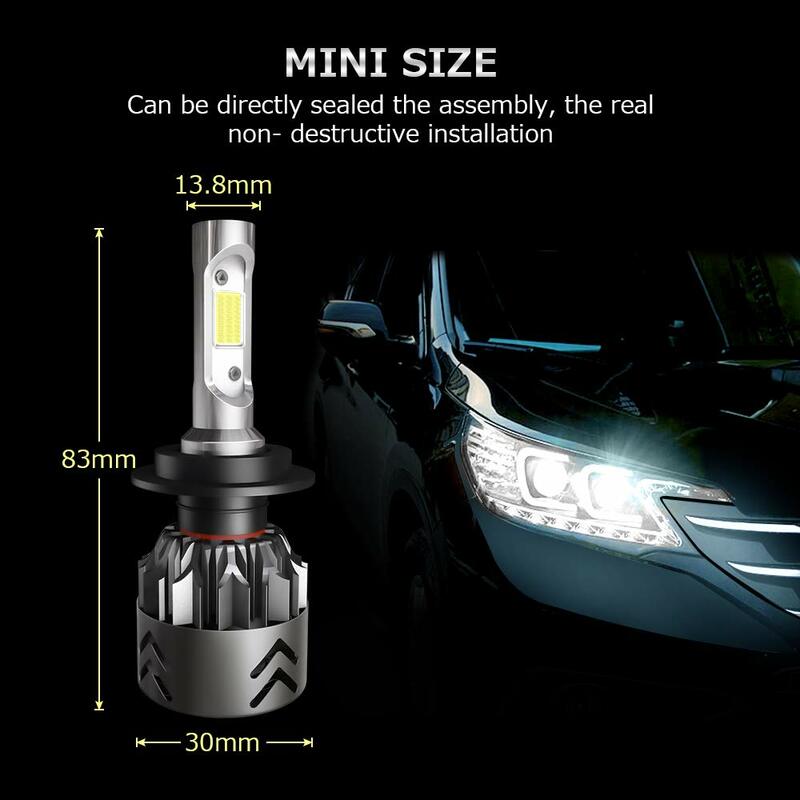 No rewiring or professional installation required, direct replacement for factory halogen bulbs and without any issues with on-board CanBUS CPU.Ultra-small size, can be directly sealed inside the assembly, the original car dust cover does not need to be opened, truly non-destructive installation in 20 mins. 【WATERPROOF & LONGER LIFE】IP68 waterproof rating, rainproof driver, housing, and fan ensuring that your lights can be used normally in the rain and fog weather, persistent luminance, stable circuit no matter the conditions, even in extreme situations, your driving can be assured the road ahead will be illuminated. Last more than 50,000 Hours. 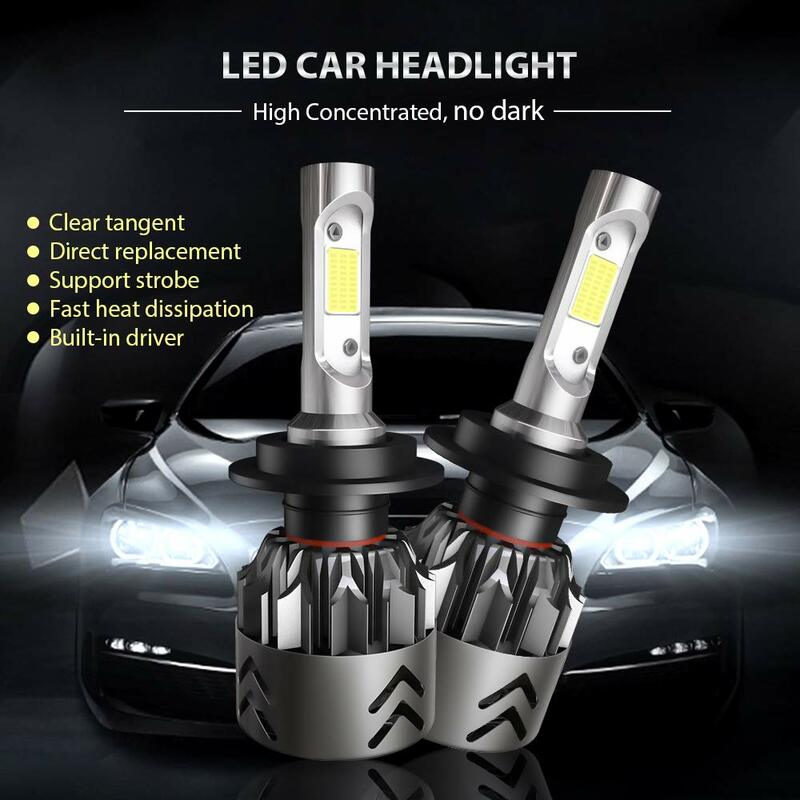 【GREAT COMPATIBILITY GUARANTEE 】 Fit for DC 9-30V, these bulbs can be used as headlight or fog lamp and will work with most vehicle's computer system without error. Note: The amazon headlamp model query system may not be complete. 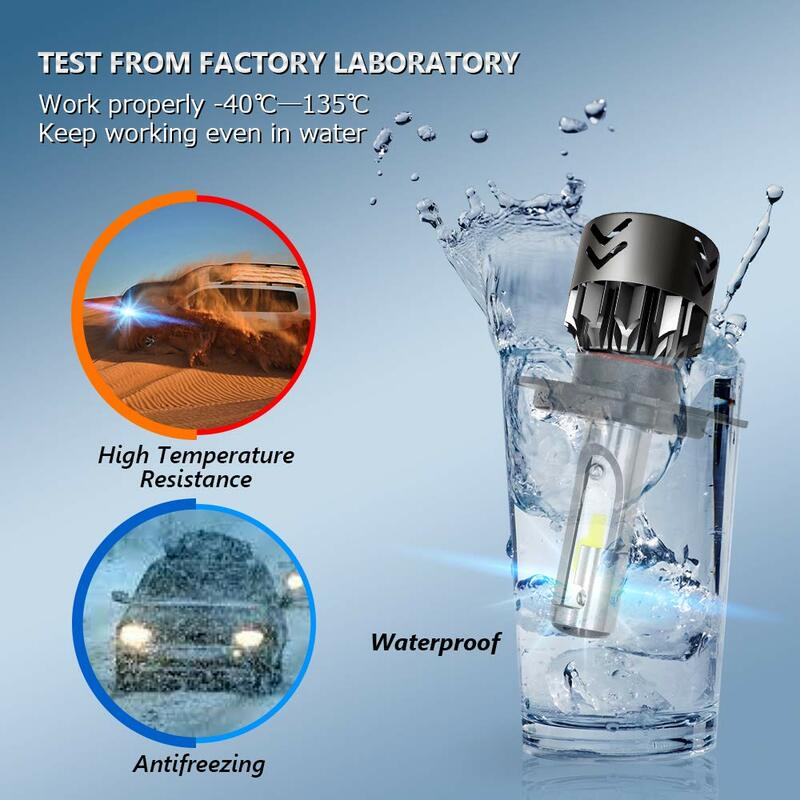 If you are not sure whether the right, please contact us before purchase. We offer 3 year warranty and lifetime support. 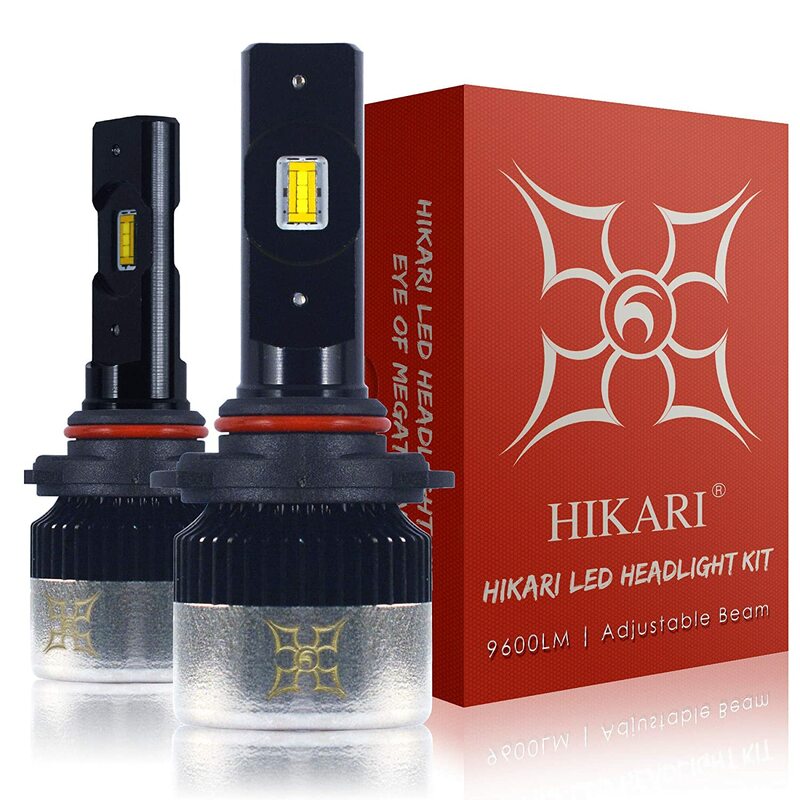 Smallest headlight kit in market, no more modification on headlight housing or cover. 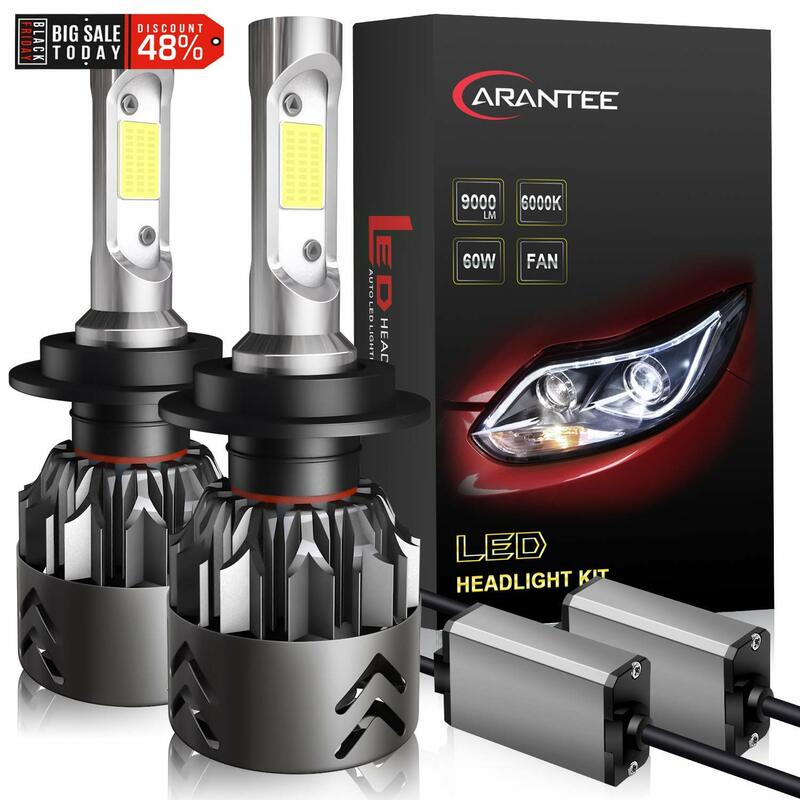 Perfect choice if you want to upgrade your headlights to LED type. Bridge Lux Chip- COB technology, great emission efficiency. Light output can reach 000LM per bulb; Dual-sided Chip design emit great light pattern. 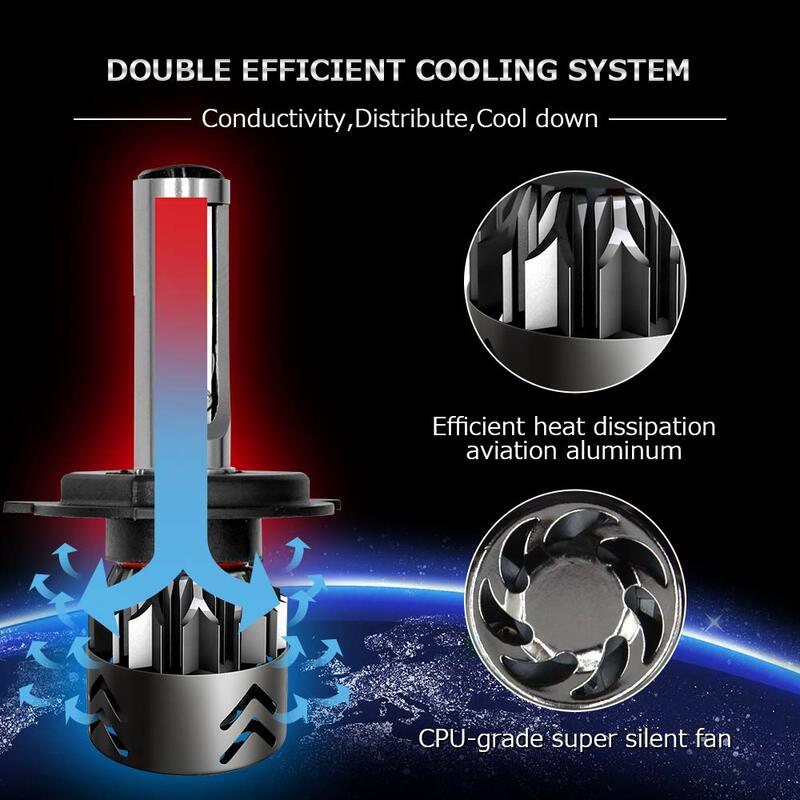 Built with cold pressed aluminum housing and with built in Japanese 2 ball fan cooling system on the bottom. Optimal heat dissipation provide longer lifespan. IP67 waterproof makes it can work in any bad weather conditions. All in One Plug & play design: Compact Design with Built in Driver/Ballast. Q:What should i do if headlight bulbs don't work after installation? 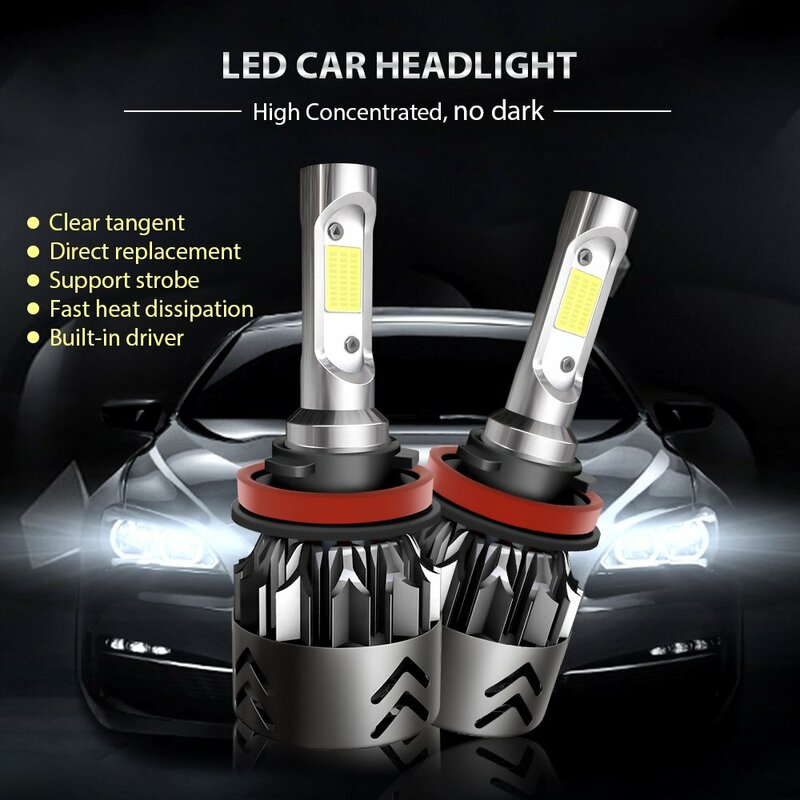 A:The headlight bulbs are polarity sensitive ,please flip the plug 180 degree (reverse polarity ) to see if they can light up . 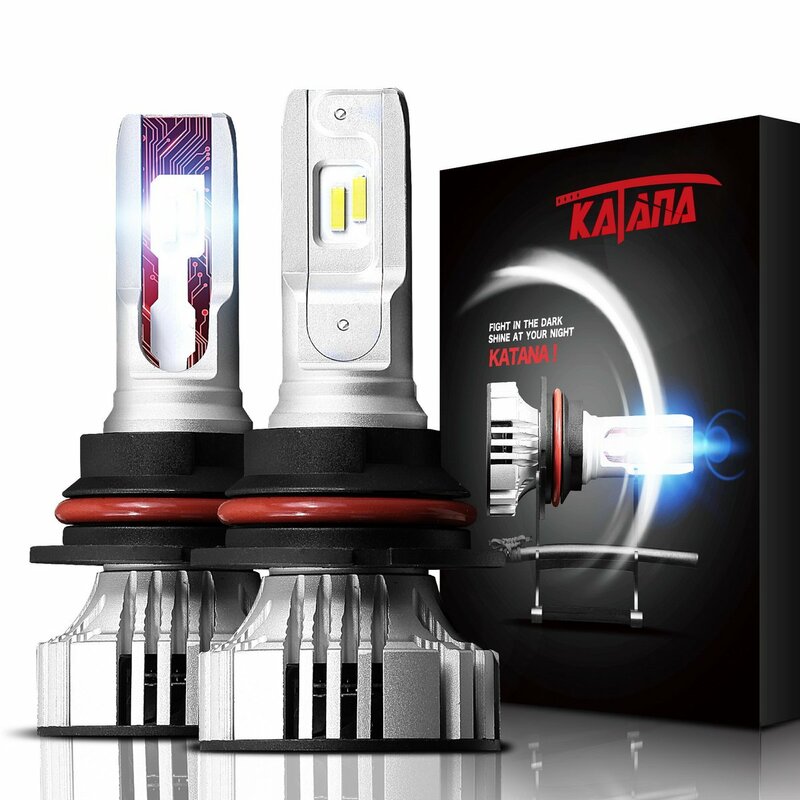 Q:What should i do if the light flicker or your vehicle shows error code? 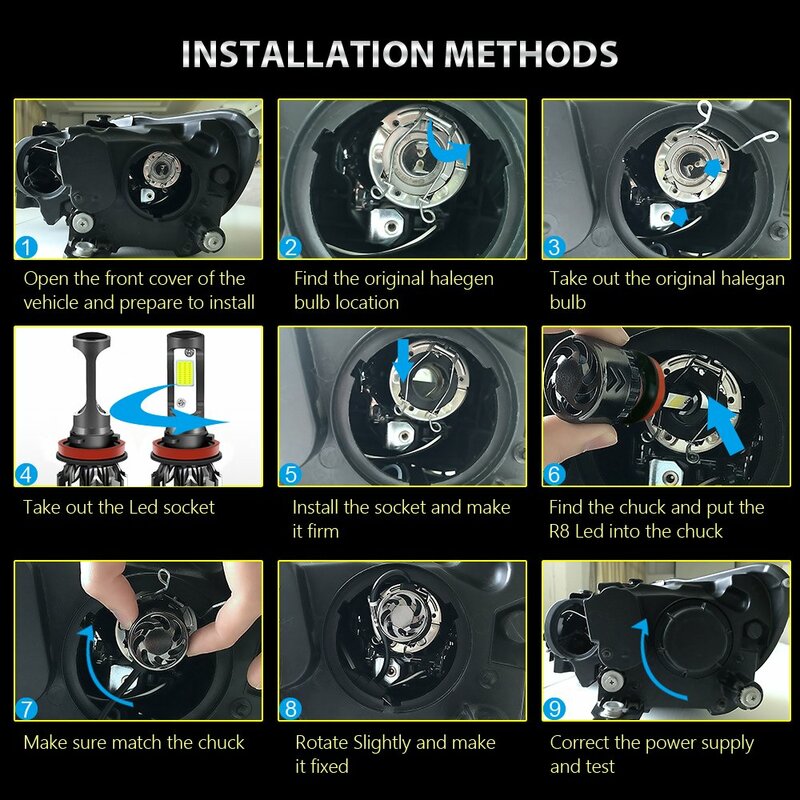 A:For a few vehicle, such as the 2007+ Dodge,Chrysler, Jeep, GMC,BMW, Mercedes-Bens requires the decoder (warning canceller)to be installed together. 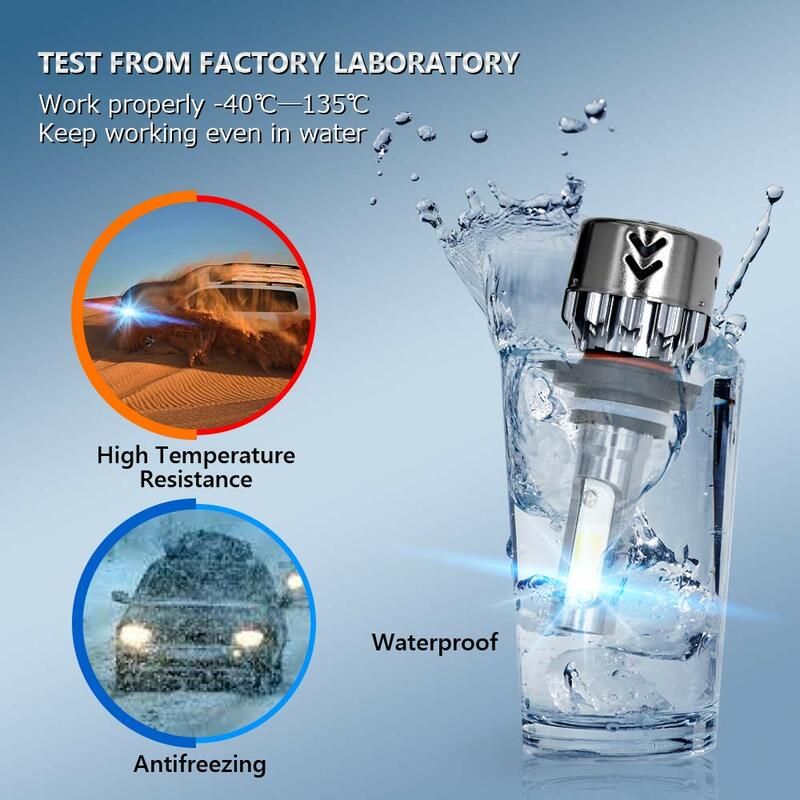 To avoid the flicker or warning.Please check with us if your car requires CANBUS before purchasing! 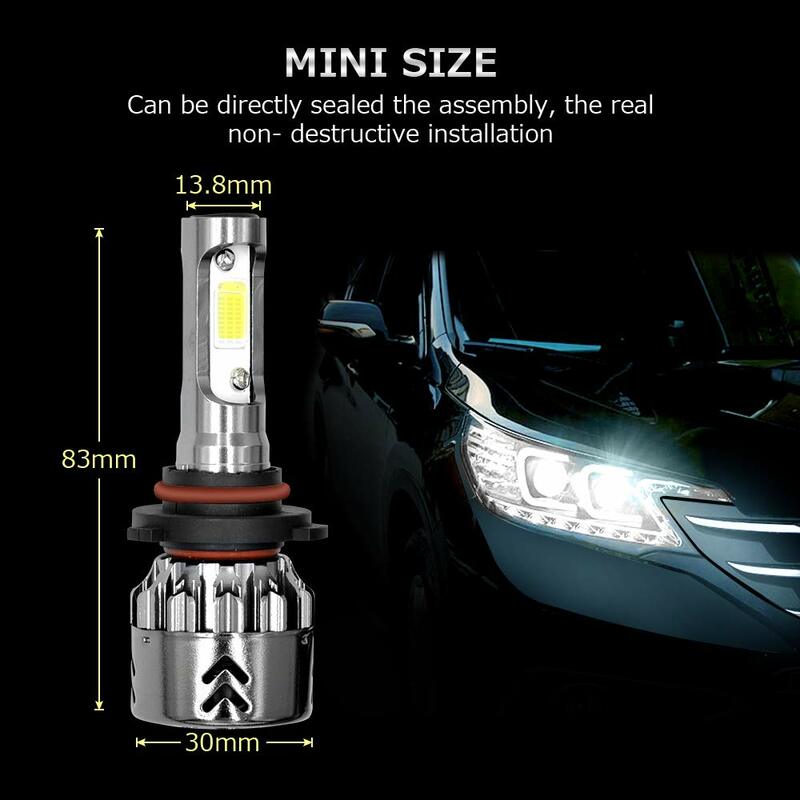 Q:How can i confirm which is the correct bulbs size for my vehicle? 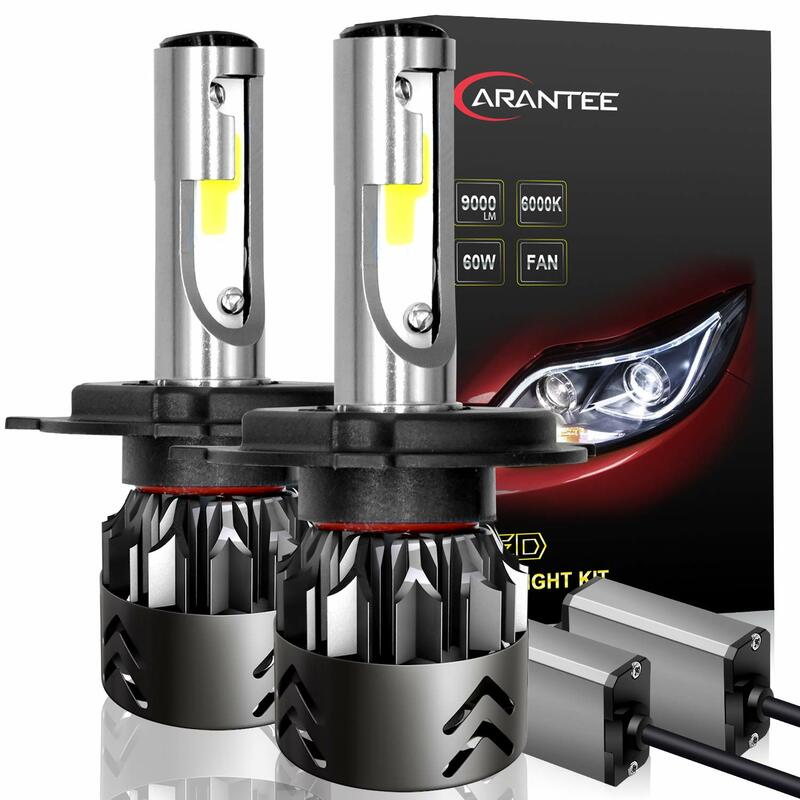 A:You can use Amazon filter system, it may not be 100% accurate or up to date, the bulb size may vary between the model/trim of your vehicle. 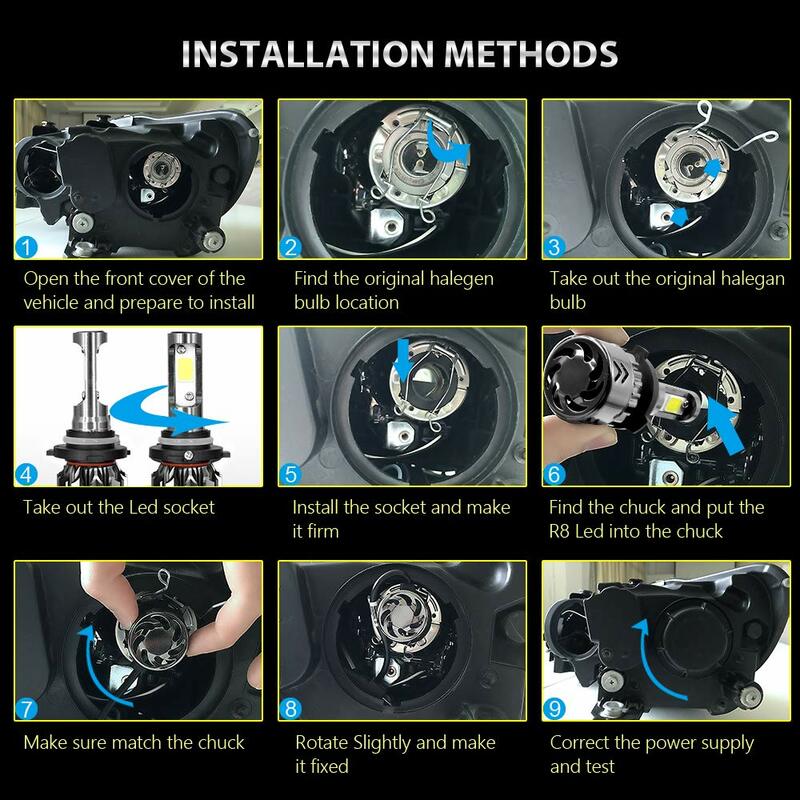 Please double check owners manual or stock bulbs size to confirm before purchasing. 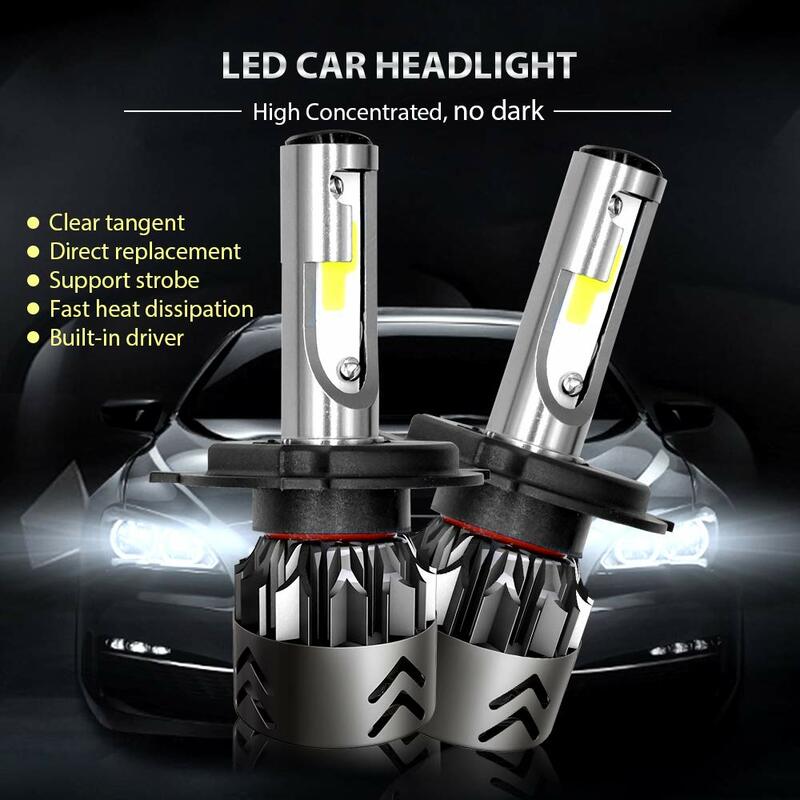 I purchased these lights to replace my halogens on a 2017 F150. This is about the 4th or 5th pair I've ordered to find the right fit. 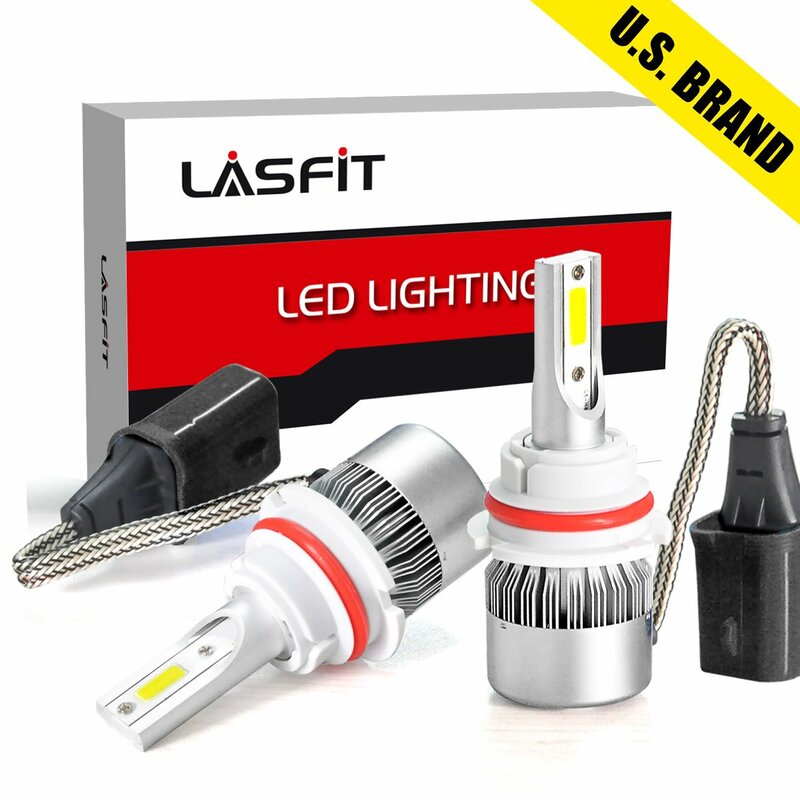 It's not the sellers fault or the light, the problem lies within in the headlight assembly for F150s. 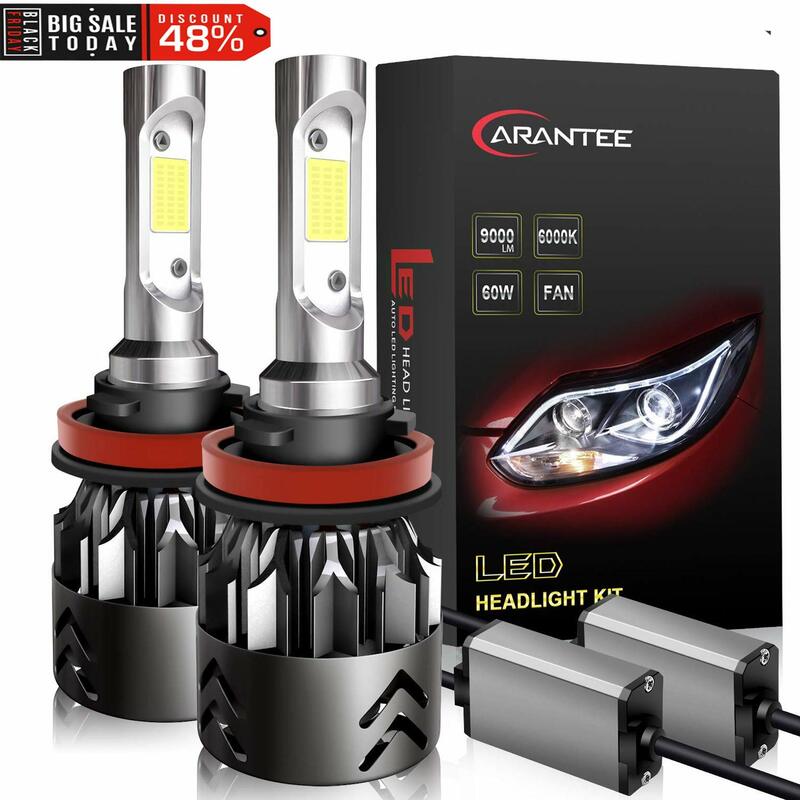 These light are wider at the base then the regular halogen causing the light to hit the side of the assembly not allowing it to seat in properly. This light set is the smallest one I was able to find, I did a little trimming on the assembly and was able to slide this set right in ( I do mean slight it was very close to fitting perfect right out of the box). They produce a good beam, light is very bright, highly recommend. 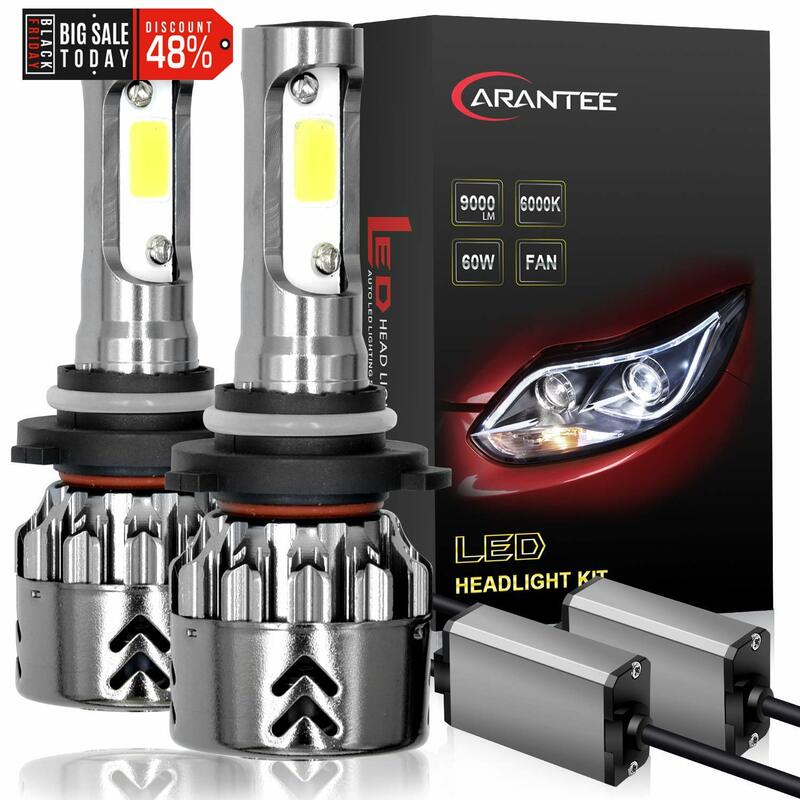 These LEDs were purchased as upgrades on the family vehicle a few weeks back. The set arrived with thorough instructions on how to properly install, which helped tremendously when determining proper strapping of connection points. The LEDs were brighter than I’d anticipated(but that’s noted in sellers description) which has made commuting to my parent’s home in the mountains a joy. I would point out that the light output is GREAT; but to make sure you adjust the height on your beam projection on light housing to make sure the beam doesn’t impact other drivers on the road. 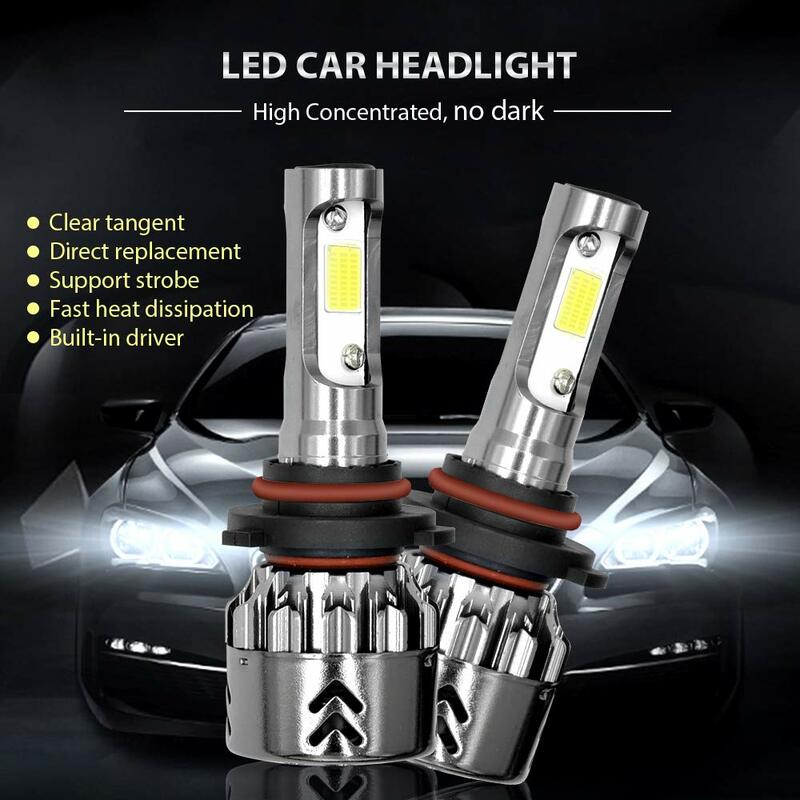 Once that was done, these headlight bulbs offered me no issues or concerns during city driving. Very impressed so far. Very bright lights compared to my original headlights. The wiring was not to bad just the excessive wires had to pin up so they wouldn't hang. The fans to draw the heat away was a nice surprise didn't know they came with them. Overall very pleased with product!! !